A summary of the day's play in the Vijay Hazare One-day tournament. Sarupam Purkayastha's valiant 125 was in vain as Punjab eked out a thrilling one-run victory over Assam in a Group A encounter of the Vijay Hazare Trophy One-day tournament, in Hyderabad on Monday, to keep their quarter-final hopes alive. Abu Nechim Ahmed (1, 5 balls) played four dot balls in the final over as Punjab snatched victory from the jaws of defeat. Batting first, Punjab posted a massive 327 for four, with Mandeep Singh (117 not out) and Gurkeerat Singh Mann (62) being the chief contributors. Mandeep's 97-ball innings had 12 boundaries and three sixes. Gurkeerat's blazing 36-ball knock contained seven boundaries and three sixes. Gurkeerat and Mandeep added 128 runs in only 11.5 overs for the fourth wicket to take Punjab to 327 for 4. In reply, Assam were cruising at one stage, having scored 246 for 3 in 39th over, but ended up tantalisingly close at 326 for eight in the stipulated 50 overs. Sarupam, who has been barred from bowling after his action was found to be suspect, has now started opening the innings. He faced 112 balls and hit 18 boundaries and a six. He had two good partnerships of 124 for the third wicket with Amit Verma (71) and 107 for the fourth wicket with Gokul Sharma (60). Punjab 327-4 in 50 overs (Mandeep Singh 117 not out, Gurkeerat Singh Mann 62) vs Assam 326-8 in 50 overs (Sarupam Purkayastha 125, Amit Verma 71, Gokul Sharma 60, Siddharth Kaul 3-74). Riding on half-centuries by Manender Singh and Ashok Maneria and a four-wicket haul by Tanveer-Ul-Haq, Rajasthan posted a comprehensive 102-run victory over Hyderabad in their Group ‘A’ match in Hyderabad. Put in to bat, Rajasthan posted 250 for eight in their allotted 50 overs and then bundled out Hyderabad for a mere 148 in 39 overs. Rajasthan got off to a good start with openers Dishant Yagnik (34) and Manender (51) building on a solid platform by sharing an 82-run stand together. After Yagnik's dismissal, Manender continued in the able company of Puneet Yadav (47). Manender got out for a well-made 88-ball 51 with included two boundaries and a six. Maneria then came to the middle and scored a quickfire 55 off just 52 deliveries with the help of seven fours. However, after the top four batsmen got out, the next four wickets fell for just 23 runs. From 226 for four at one stage, they slipped to 249 for eight. Chasing a target of 251, Hyderabad kept losing wickets at regular interval with Tanveer claiming four for 44. Hanuma Vihari top-scored for Hyderabad with 39. Rajasthan 250-8 in 50 overs (Manender Singh 51, Ashok Maneria 55; M Ravi Kiran 4-57) vs Hyderabad 148 in 39 overs (Hanuma Vihari 39; Tanveer-Ul-Haq 4-44). Riding on a patient century by opener Aditya Waghmode, Baroda notched a comprehensive 56-run win over Odisha in a Group C match at the Palam A Ground in Delhi. 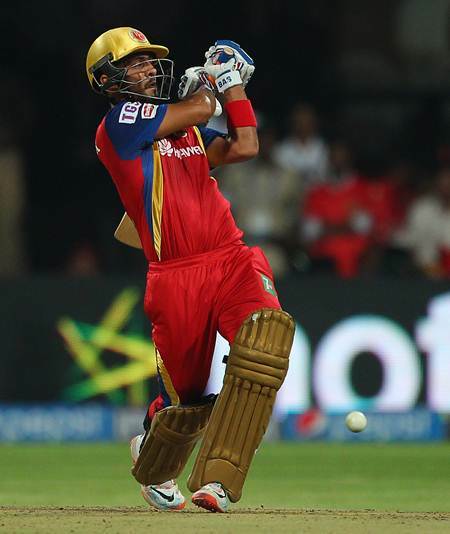 Electing to bat, Waghmode anchored the Baroda innings with a 143-ball 111, which was studded with 10 boundaries. Kedar Devdhar (30), H Pandya (30) and Deepak Hooda (24) were the other batsmen who reached doubles figures as Baroda were dismissed for 225 in 50 overs. For Odisha, Ankit Yadav (4-44) was the top wicket-taker, while B Mohanty (2-37) and Shesdeep Patra (1-34) also contributed with wickets. Chasing 226 to win, Natraj Behera stood amid the ruins as Odisha's innings folded for 169 in 46.2 overs. Ranjit Singh (22), G Poddar (30) and AA Singh (23) got good starts but they failed to capitalise. For Baroda, Munaf Patel (2-31), HH Pandya (2-47) and BA Bhatt (2-16) scalped two wickets each, while R Arothe (1-29) and Swapnil Singh (1-31) picked one each. Baroda 225 in 50 overs (A Waghmode 111; A Yadav 4-44) vs Odisha 169 in 46.2 overs (N Behara 67; BA Bhatt 2-16). Himachal Pradesh produced a clinical all-round show to score a comfortable seven-wicket win over Saurashtra in their Group D match. Opting to bat after winning the toss, Saurashtra were all out for 195 in 48.4 overs at the Madhavrao Scindia Cricket Ground. Cheteshwar Pujara top-scored for Saurashtra with 73 off 113 balls. He hit six boundaries. Opener Sheldon was the next best scorer with 32 off as many balls, but the others struggled to do anything of note. Rishi Dhawan and Ronit More picked three wickets apiece, while Pankaj Jaiswal had two. Opener Ankur Bains top-scored for Himachal with 76 off 109 balls, while Robin Bist made 44 off 64, as they completed the task with 40 balls to spare by reaching 197 for three. Prashant Chopra (32) and Paras Dogra (25 not out) were the other two contributions for Himachal with the willow. Karnataka defeated Gujarat by 15 runs via the VJD (V Jayadevan) method in their Group B match at the KSCA Cricket Ground in Alur, Karnataka. Put in to bat by Gujarat skipper Axar Patel, Karnataka were restricted to 233 for eight in the allotted 50 overs. In reply, Gujarat, chasing a revised target of 205 in 44 overs, could manage only 189 for eight. Karnataka's innings was built around Manish Pandey's knock of 94, which came off 123 balls. During his stay at the crease, Pandey put on 72 runs for the third wicket with opener Mayank Agarwal, who scored 58 off 77 balls. Pandey hit six boundaries and a six, while Agarwal found the fence three times. Jasprit Bumrah, Mehul Patel and Axar Patel bagged two wickets each. When their turn to bat came, Gujarat were off to a sedate start, openers Smit Patel (25) and Priyank Kirit Panchal (52) putting on 55 runs. Chirag Gandhi (43) was the other substantial contributor and Axar Patel chipped in with 27, but the rest failed to deliver the goods for the visiting team. Skipper R Vinay Kumar, J Suchith and Shreyas Gopal picked two wickets each for Karnataka. Gujarat were slapped a penalty of five runs for their batsman damaging the pitch . Bad light forced play to be halted when Gujarat were 160 for 5 in 40 overs. When it resumed they had a revised target of 205 in 44 overs. Karnataka 233 (Manish Pandey 94, Mayank Agarwal 58) vs Gujarat 189 (Priyank Kirit Panchal 52, Chirag Gandhi 43). Ankit Bawne (100) and Kedar Jadhav (101) his centuries, while Shamshuzama Kazi returned a four-wicket haul as Maharashtra thrashed Andhra by 47 runs in their Group C match. Middle-order batsman Bawne hit 11 fours and a six in his 143-ball innings, while Jadhav blasted 11 boundaries off 101 balls down the order as the duo shared 194 runs for the fifth wicket to power Maharashtra to 241 for eight in their stipulated 50 overs. Electing to bat, Maharashtra found themselves in a spot of bother when Bandaru Ayyappa provided the first breakthrough, cleaning up Swapnil Gugale (3) in the sixth over and then Siva Kumar snapped three wickets -- Harshad Khadiwale (14), Rahul Tripathi (0) and Vishant More (0) -- in the next over to leave them at 17 for four. However, Bawne and Jadhav took Maharashtra to 211 before the latter was dismissed by the Sudhakar in the 46th over. Shrikant Mundhe (1) was then sent packing by Stephen and Bawne too perished in the last over. Chasing 242 to win, openers Srikar Bharat (28) and Koripalli Sreekanth (74) gave Andra a good start, putting a 51 run partnership before Akshay Darekar dismissed the former and new batsman Prasanth Kumar (0) in the 11th over. Pradeep and Sreekanth then added another 60 runs before the former was also dismissed by Shrikant Mundhe. Sreekanth and Ashwin Hebbar then added another 35 but the Andra team then lost their way as the remaining batsmen were dismissed in less than 50 runs to hand over an easy win to Maharashtra at Palam B Ground, Model Sports Complex. Maharashtra 241-8 in 50 overs (A Bawne 100, K Jadhav 101; D Siva Kumar 3-24, C Stephen 3-54) vs Andhra 194 all out in 42.5 overs (K Sreekanth 74; S Kazi 4-36). Naman Ojha's unbeaten ton helped Madhya Pradesh defeat Uttar Pradesh by eight wickets in a Group D match in Rajkot. Electing to bowl, Madhya Pradesh bundled out Uttar Pradesh for a modest 211 in 46.2 overs at the Saurashtra Cricket Association stadium. MP chased down the target in 39.1 overs. UP had a shaky start with skipper Suresh Raina, who promoted himself to open the innings, departing on 1. Prashant Gupta also went back to pavilion on 10. Umang Sharma (50) and Akashdeep Nath (67) struck half centuries and helped Uttar Pradesh cross the 200-run mark. Ishwar Pandey, P M Datey, C Sakar and Jalaj Saxena bagged two wickets each. Chasing 212, MP lost Saxena, who failed to open his account. However, Naman Ojha added 78 runs for the second wicket with R M Patidar (33). He scored 114 off 122 balls, hitting 12 fours and two sixes and shared an unbroken 125 run stand for the third wicket with Harpreet Singh (63) as the duo guided MP to a big win. Uttar Pradesh 211 off 46.3 overs (Akashdeep 67, Umang Sharma 50, P M Datey 2-32, Jalaj Saxena 2-33) vs Madhya Pradesh 212 for 2 off 39.1 overs (Naman Ojha 114 not out, Harpreet Singh 63 not out). Delhi trounced Tripura by nine wickets in a thoroughly one-sided Group C encounter. This is Delhi's third win in four matches and the hosts are favourites to seal one of the two quarter-final spots up for grabs from this group. Currently, Delhi are second behind Maharashtra in Group C, with 12 points from four games. Maharahstra also have 12 points but have played a match less. The bowlers, led by left-arm pacer Pawan Suyal (3-14 in 10 overs) and Navdeep Saini (2-28 in 9 overs) skittled out Tripura for 100 in 39.3 overs with former UP batsman Parvinder Singh top-scoring with 20. Left-arm spinners Manan Sharma (2-24) and Pawan Negi (2-2) also did their bit. In reply, Delhi romped home in 16 overs, losing only two wickets. Young Nitish Rana slammed 48-ball-67 with 10 boundaries and three huge sixes. Openers Unmukt Chand (14) and Dhruv Shorey (1) were dismissed cheaply but the meagre target never posed any threats for the Delhi batsmen. Tripura 100 in 39.3 overs (Parvinder Singh 20, Pawan Suyal 3-14, Pawan Negi 2-2, Navdeep Saini 2-28) vs Delhi 101-2 (Nitish Rana 67 not out). Jammu and Kashmir's batting collapsed in the face of a disciplined bowling effort as Kerala beat them by seven wickets in a Group B match. J&K were bowled out for 130 in 42.3 overs before Kerala chased down the target in 29.5 overs, scoring 134 runs in the end. For Kerala, Fabid Ahmed was the top wicket-taker, claiming 3 for 24, while Nizar Niyas and P Prasanth claimed two wickets each. Bandeep Singh's 31 was the best that a J&K batsman could manage. Kerala's chase was smooth with N Surendran's 85 being the top score. His runs came off 90 balls and included 12 fours and a six. Parvez Rasool was the lone J&K bowler to excel, claiming three wickets in his eight overs which cost 33 runs. Jammu & Kashmir 130 in 42.3 overs (Bandeep Singh 31, Fabid Ahmed 3-24) vs Kerala 134-3 in 29.5 overs (N Surendran 85, Parvez Rasool 3-33). Mahendra Singh Dhoni did not have much to do as Jharkhand hammered Haryana by nine wickets in a Group B match in Alur, Karnataka. Varun Aaron-led Jharkhand bundled out Haryana for 133 and chased down the paltry target in 29.4 overs, after decent contributions from Ishank Jaggi (62 not out) and Kumar Deobrat (39 not out). It was Jharkhand's third win in four matches and they now lead the group with 12 points. Dhoni, who is playing domestic cricket after eight years, effected a run out in his side's emphatic win. He had made 44 against Gujarat in an earlier match. The other two innings fetched him 9 and 19 runs.